Women work way beyond the 9-5 shift, often having to rush home to cook dinner, help the kids with homework, and prepare the next day’s office attire for the hubby etc. The stress and anxiety caused by endless tasks and impossible deadlines in a high-speed, high-tech world has made women’s lives a living web of complexity. The question is: How can women cope with stress and anxiety? The first step is to dissect the problem and understand how these psychological and emotional conditions make women’s lives more difficult. Stress is a combination of fatigue, restlessness, depression, over-focusing, and over-all gloominess that is a consequence of overwork and other domestic or personal problems. The difficulty of trying to balance time between work and the home has caused many women to suffer from severe stress. Personal or relationship issues like divorce or separation have also been the cause of anxiety and panic attacks among many women. Women who own and manage their own business are also prone to severe stress. Their high drive for business success cannot always protect them from times of depression and overwork. Career women, on the other hand, have to confront office politics, gender discrimination, sexual harassment, and the fear of being laid-off. 1. Put up relaxing scenes – It could be a poster or a small painting with beautiful scenery. You can even download screen savers of beaches, waterfalls, clear lakes and other scenes that help create a serene mood. 2. The To-Do-List – Use Post-Its or other stick-on note pads. Color-code your notes and even put up an “alarm” in your computer to remind you of priority tasks. The key is to know what to do first. 3. Take A time out – As they say, “All work and no play makes Jack a dull boy.” Take a time out to take a breather. Stay away from reading emails temporarily that are mostly junk anyway. Do stimulating activities like sudoku or brainteasers. Read some inspirational books like Chicken Soup for the Soul. 4. Rearrange your workstation – Add some “homey” look to your workstation… put up photo frames of your family or favorite pet. When ever you feel stressed out just glance at their happy faces or cuteness —and you’ll find yourself smiling back! 5. 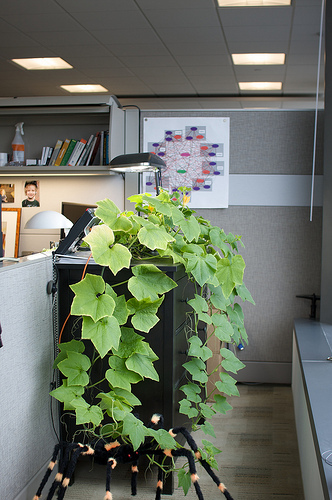 When a plant isn’t just a plant – Having a plant around your workplace is good stress relief. Studies show that looking at something green like a plant helps soothe your eyes after facing the computer monitor all day or after reading for a long time. Focusing on a green plant will have a soothing effect. 6. Exercise – Walking, climbing the stairs, or going out to run helps fight stress. Physical activity help get rid of tension. During a workout, your body releases endorphins which helps your body to relax. Endorphins also act as natural pain killers. There are a lot of exercise videos that you can use ranging from the standard aerobics to pilates, tae-bo, and a host of other fitness programs. 7. De-clutter– A cluttered workstation that include pens, pencils, note pad, tons of papers spread around every inch of your work place adds to your stress levels. Make your work environment more appealing by organizing your things and throwing away things you no longer need. 8. Set Boundaries – Communicate and assert yourself, make your co-workers know when you are more available for chit chat. 9. 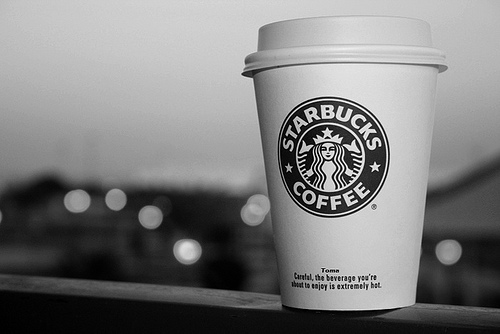 Less caffeine intake – I see you rolling your eyes… caffeine is popularly known as a stimulant, too much of it adds to stress and even leads to depression. 10. Eat a good breakfast – Don’ skip meals even if you are indeed in a hurry. Studies show that if you make it a practice to eat breakfast every day, your body gets more of the needed proteins to give you an energy boost to face the hard working day. Beat work-related stress without beating yourself up. Learn how to relax. Sure… we have duties and responsibilities but if you don’t learn to relax—burn-out is inevitable! Make an effort to relax. Listen to good music. Try not to smoke. Because if you don’t watch out, the results would be hypertension… depression… and a plethora of other ailments that can sidetrack your career and home life. It’s time to regain a sense of balance because without you, us men would truly be lost in this world… now isn’t that the truth for many. The end the anxiety recovery program’s ‘Checking In’ system is proven to be the best online support you’ll find through an online anxiety program. Visit http://www.endtheanxietyprogram.com to find out how you can stop coping and start overcoming your anxiety related issues today. I’m quite sure I’ll learn a lot of neww stuff right here!